The Greater Irvine Chamber is at the forefront of representing and affecting the business environment. Acting as an advocate and a resource, the Chamber provides its members with timely and accurate information, evaluating and responding to economic, legislative and other factors critical to the success of a local commerce - and a local business. 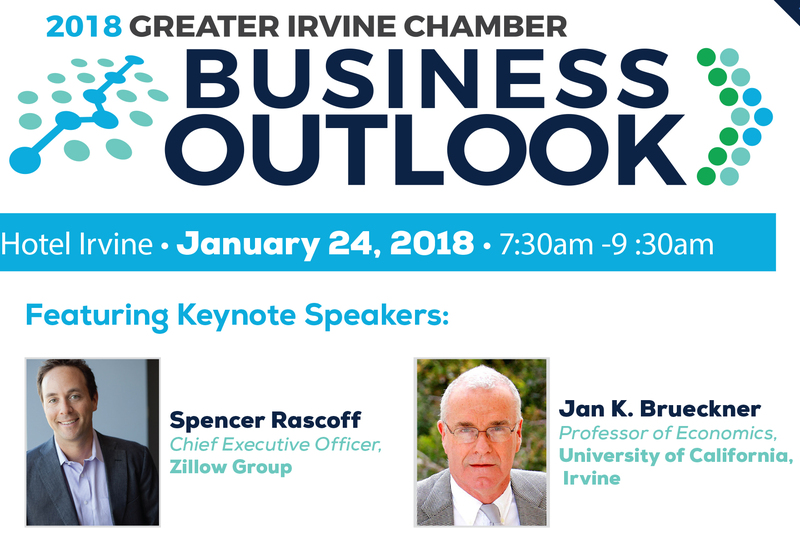 As the first major outlook of 2018, and in partnership with UCI's School of Social Sciences, the annual Business Outlook breakfast brings together 800+ business executives to provide key insight on trends influencing the economy. Our esteemed speakers will share their vast expertise on the current economic climate and what 2018 will hold for local industries.